Can You Change Your Personality? If you are in any type of leadership role, either in the workplace or perhaps as part of a community group or volunteer group, then chances are you have already discovered that you need to adopt different leadership styles with different people – because people themselves are different. They possess different levels of skills, different levels of confidence – and of course they have such different personalities. There are many different models of leadership styles around – but they share one thing in common, and that is they advocate the need for the leader to have the flexibility to adjust their style of leadership to the needs of different situations and people. Flexibility can be a difficult quality to develop – but it is an essential characteristic of effective leadership. You have to be able to recognise when you must change your leadership style, depending upon the different circumstances of the situation. For example, depending upon whether you’re in a crisis – or whether you are dealing with a highly experienced employee, or whether you are wanting to gradually develop the capability of a team-member – all of these situations might require you vary your leadership approach in some way. This is where the leader retains a high level of control over the task, thereby giving the employee very little latitude to exercise any of their own judgement. The leader defines very precisely what has to be completed and describes in detail the procedure to be followed in the task – monitoring performance closely and regularly. This style is suitable if the employee needs supervision and training when working on a task that is new to them. This is where the leader retains moderate control over the task and begins to genuinely consult with the employee over how the task can best be completed. The leader discusses the task and offers some suggestions as necessary – monitoring performance and providing some interim feedback during performance of the task. 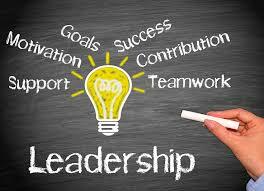 The leadership style is one of guiding and coaching, certainly not one of telling. This is where the leader simply outlines the task outcomes required, describes any relevant constraints and parameters to the task and then gives the employee the freedom and autonomy to determine how best to undertake the task. The leader trusts that the employee will let him or her know if any difficulty is being experienced, and usually “touches base” towards completion of the task. An employee who is capable and motivated generally warrants this leadership style, when they are working on tasks with which they are familiar. In summary, the effective leader is one who has the flexibility and the judgement to exercise different styles of leadership, depending upon the dynamics of the situation they are faced with. One of the key factors that you will assess in your workplace is the level of skill and capability that an employee possesses with a given task – and therefore how much direction and supervision they will likely require.